Are you in the market for your very first home? If so, congratulations! The prospect of becoming a homeowner is a very exciting time. It is the “American Dream” after all. Moreover, looking at Orange Beach, AL real estate for sale and imagining how you and your family will use each room of your new home can be a lot of fun. However, don’t get so caught up in looking at homes that you forget to prepare yourself financially as well. Most people will need to apply for a mortgage to help finance their purchase. Prior to applying for your mortgage, it is highly advised that you request a copy of your credit report. You are entitled to a free copy every 12 months from each of the major three credit reporting agencies, Equifax, Experian, and TransUnion. This should provide you with an idea of what kind of mortgage rates you are eligible for. Similarly, check your credit report for any errors and report them immediately. Getting pre-approved for a loan is better than getting pre-qualification. This is because pre-approval means your lender has reviewed all your financial information and has determined the specific amount of money you can borrow. When pre-approved for a loan, you can easily limit your home viewings to properties within your budget only. Additionally, pre-approval allows you to close a home faster, a useful situation if you have to compete with several buyers. Whether you are already satisfied with your credit rating or you are trying to improve it, do your best to avoid any other major expenses on your credit card for at least six months prior to purchasing real estate. Buying a new car or the like may unnerve potential lenders, especially if their own research shows that you may not be able to handle simultaneous payments. Similarly, opening new credit card accounts may raise suspicion among lenders. When drafting your budget for your purchase, be sure to take more than just your monthly mortgage payments into account. Homeownership entails many other expenses, including water bills, electric bills, homeowner association dues, property taxes, etc. Taking these “sleeper costs” into account in your monthly budget helps you avoid missing payments and potentially losing your home. 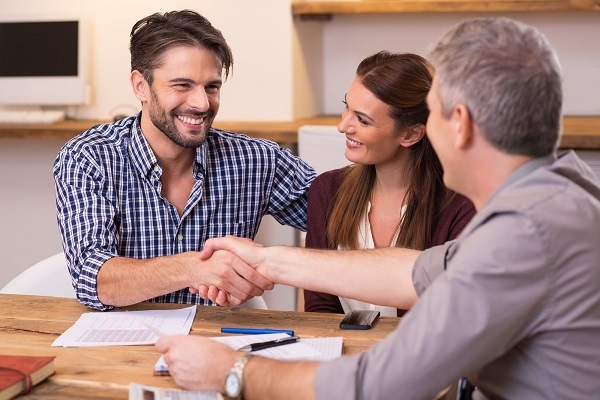 You may want to ask your real estate agent about any additional fees that may be associated with living in the neighborhood where your new home is located. Down payments for homes are usually placed at 20 percent of the total cost. In some cases, a seller may be willing to take less than 20 percent down payment. However, try to pay more than 20 percent if you can afford to do so since you may be able to convince a bank to loan you more money (if you should need it). Similarly, a seller is more likely to choose a buyer who offers a 30 percent down payment as compared to someone who is only willing to pay 10 or 15 percent. These are only a few steps you can take to prepare your finances to give you an advantage in the home buying process. You may also wish to ask Malcolm Bond, your exclusive buyer’s agent, for any other financial steps you can take to help improve your chances of securing your dream home. Read more about home buying advice in the section of articles on Gulf Shores Home Buying Tips just below our Gulf Shores Real Estate Categories in the column to your right.